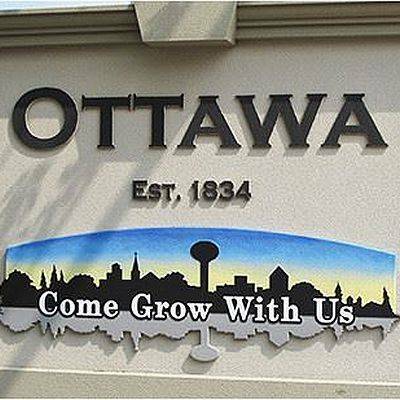 OTTAWA — Ottawa Village Council voted to rescind their offer to Chevrolet of Ottawa to purchase two new pickup trucks for the village Monday during the regular meeting. During the April 9 meeting, council voted to spend $59,050.10 to purchase two 2018 Chevrolet Silverado 2500HD pickups. The trucks were going to replace two old works trucks, one of which was a 2005 4X4 half-ton with over 103,000 miles on the odometer. When the first new pickup arrived it didn’t have the features the village had requested, said Municipal Director Jack Williams. Public Works Supervisor Dan Lehman said the Chevrolet pickup was supposed to have options like power windows, remote locks and power tow mirrors, but it didn’t. When they tried to add those options the price for the vehicle kept going up, he said. Council voted to accept proposals from Reineke Ford-Lincoln, Inc. and Integrity Ford to purchased the two new pickups for the Village Works Department after rescinding the offer to Chevrolet of Ottawa. The village will purchase one 2018 Ford 4X4 Regular Cab F250 XL pick-up from Reineke Ford-Lincoln, Inc., for $27,885 and one 2018 Ford F25H 4X4 Styleside Pick-up from Integrity Ford for $29,774.80, for a total of $57,659.80, saving the village over $1,300 compared to the Chevrolet deal. Council President Dave Michel asked what the difference was between the two trucks. Lehman responded the only difference between the two pickups is one has cab lights and the other doesn’t. Other than that minor difference, both trucks are white and have all of the options they requested for the Chevrolet pickups.